Are teardrops, also known as Gummy Bear implants, better than the “traditional”, round breast implants? This is the question commonly asked by women who wish to undertake breast surgery, and it should be properly addressed. It is important to mention here that many will look up this question on the Internet, and the information lying around may not be most reliable. In fact, a lot of claims made by both doctors and patients are inaccurate, wrongly asked, or merely outdated. In Westchester, New York, Dr. Lyons is the first and only doctor in the practice of Gummy Bear implants, the new technique which outperforms other, especially older ones, by far. Despite being the only doctor in such practice, Dr. Lyons also has a well-trained expert team of nurses and staff, which are all at your service, consultative or otherwise. In order to answer the original question properly, a lot of factors need to be taken into account. We have already mentioned that Dr. Lyons uses only the newest techniques, ensuring the safest breast implants available. The two most commonly used types of breast implants vary in their shape and material —round ones are usually saline, while the Gummy Bear implants consist of a newer, cohesive silicone gel. 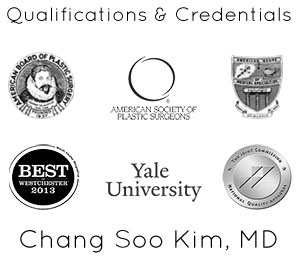 A traditional approach to breast surgery will in almost all cases suggest the round-shaped breast implants. This is still the most popular type of implants, despite newer ones exist. It is so wide-spread that, in the past few decades, it has managed to set new aesthetic standards —most glamor and lingerie models you nowadays see, if their breasts are enhanced, have taken this kind of implants. Despite their round shape, due to their material and dimension flexibility, natural looking breast implants can still be round in their initial shape. Their largest disadvantage, however, may be the fact that they only come in one basic shape. Thus, while they are suitable for breast augmentation, altering and correcting the breasts’ shape can prove a challenge. The Gummy Bear breast implants, on the other hand, provide for much greater flexibility. Dr. Lyons offers, through these tear drop breast implants, much greater flexibility in shapes and sizes of breast enhancement. The key advantage of these implants is in its initially flexible shape. This means that not only can you undertake breast augmentation, but you can gain a lot in their shape and overall aesthetics as well. There is a wide variety of the so-called teardrop implant shapes, making them suitable for a much wider variety of female bodies, as well as allowing you to accentuate certain areas of your breasts. The material is also firmer and more consistent in comparison to the round shaped implants, leaving a more natural feel. Finally, the Gummy Bear breast implants allow not only for the breast enlargement, but also shape correction due to age, nursing, or other factors. 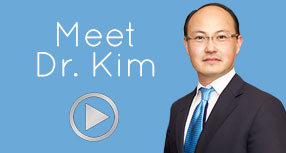 In the end, what matters the most to Dr. Lyons and his team is the patient’s satisfaction. If you decide to undertake a breast surgery in Westchester, we are here to guide you through the whole process — from choosing the shape and size of your implants; all the way to making you acquire the bodily appearance you desire.